Download the RNB5000 technical catelog in PDF. 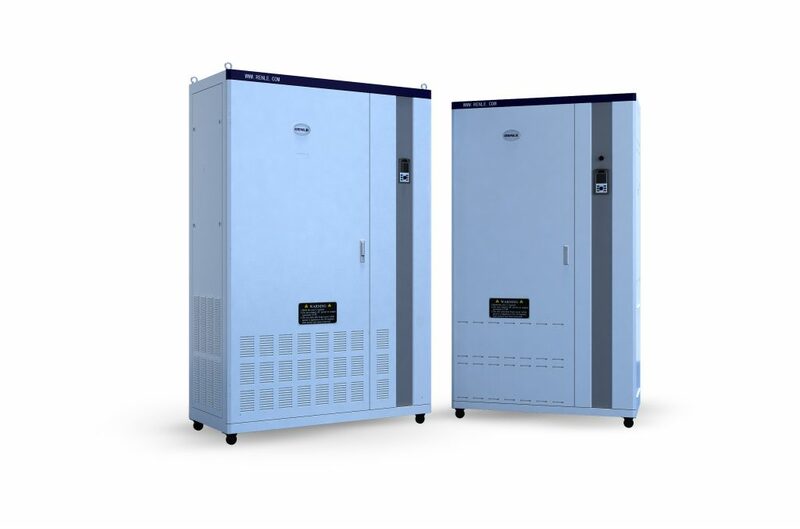 RNB5000 series inverter is a low voltage (large) power and medium voltage inverter developed for common usage. It is not only applicable for universal fan and pump load driving, but also widely used forindustrial automation equipment control of many industries, such as textile, stone sawing, air compressor, oil field, coal mine etc. It can also provide solutions for ball mill, injection molding, intelligent motor and other professional applications. Using high-performance current vector control. High starting torque can be realized also for induction motors. Equipped with abundant parameter tuning method. Speed tracking function is most applicable for fluid machinery with rotating body, such as fans and blowers.In- stantaneous non-stop function andpower outage measures for film production line can leave out the UPS and other special equipment. Automatic instantaneous power failure compensation is performed whenlow power is detected. Application selection function: Just select the mechanical application, you can have the automatically set and the most appropriate parameters, without cumbersome parameter settings. So the trial run time can be shortened. Standard keyboard has parameter copy function. The parameters can be uploaded or downloaded. xPowerTool can monitor real-time status of the inverter, configure the inverter’s parameters, control inverter’s operation. Using a computer, you can manage parameters of several inverters. xPowerTool can monitor the inverter status in real time, configure the inverter parameters and control the inverter operation. Using a computer, you can manage several inverter parameters. Inverter demonstrates outstanding performance in construction lifting, tower crane, bridge and other applications. Support speed limiting mode under a variety of torque control. The invert- er can be used in many torque control circumstances.